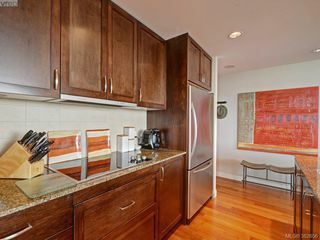 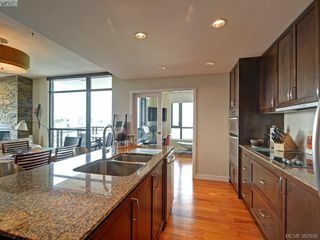 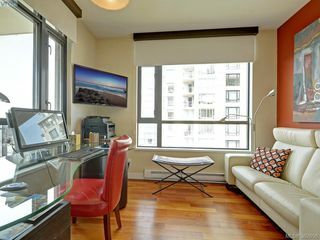 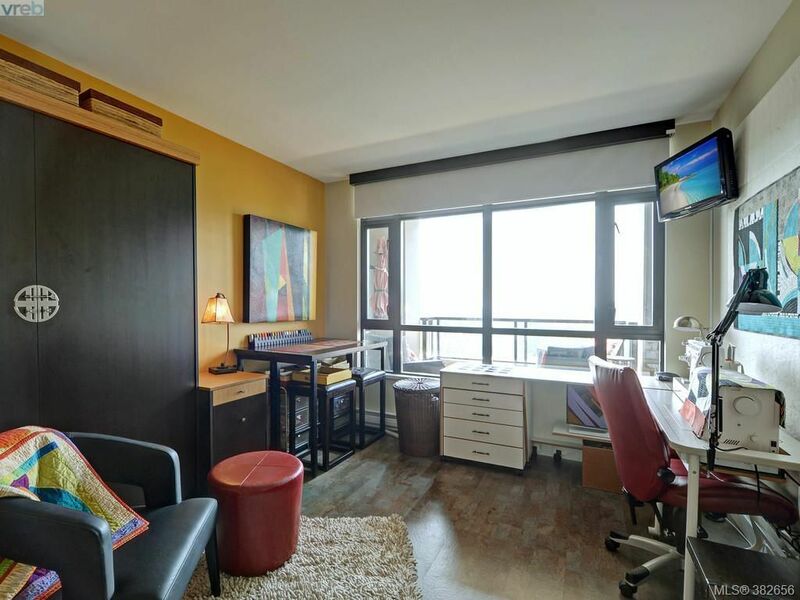 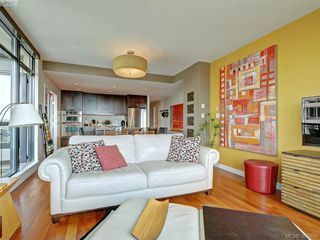 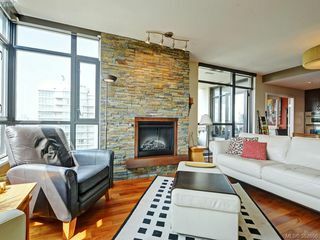 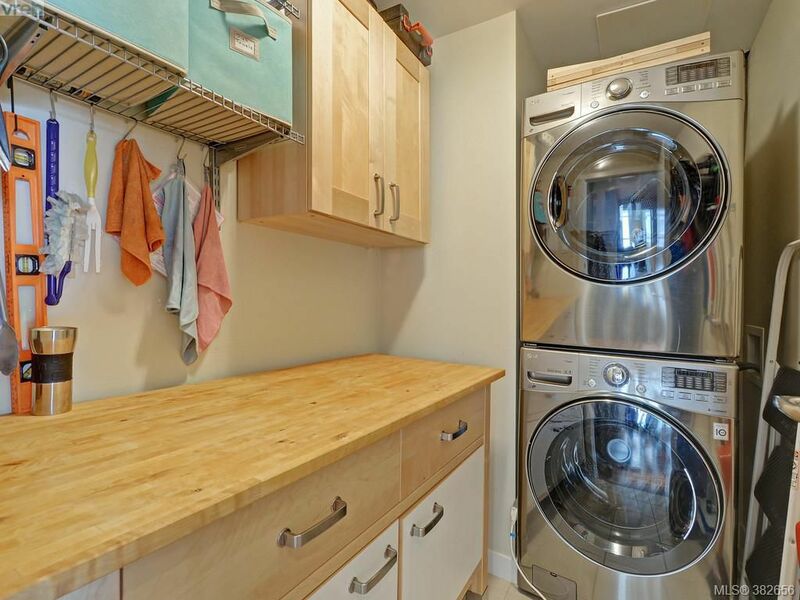 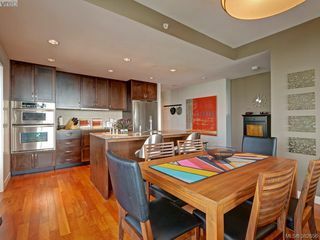 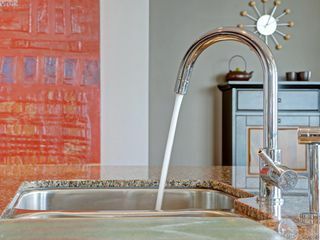 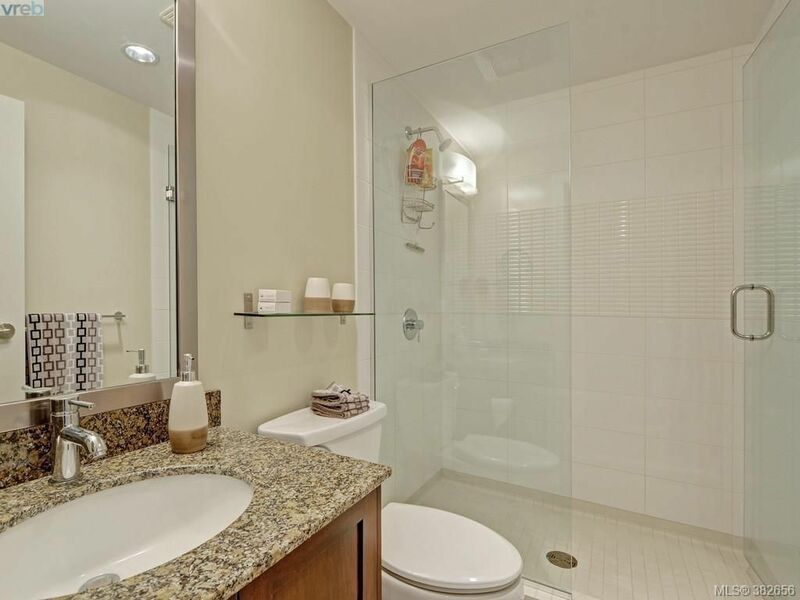 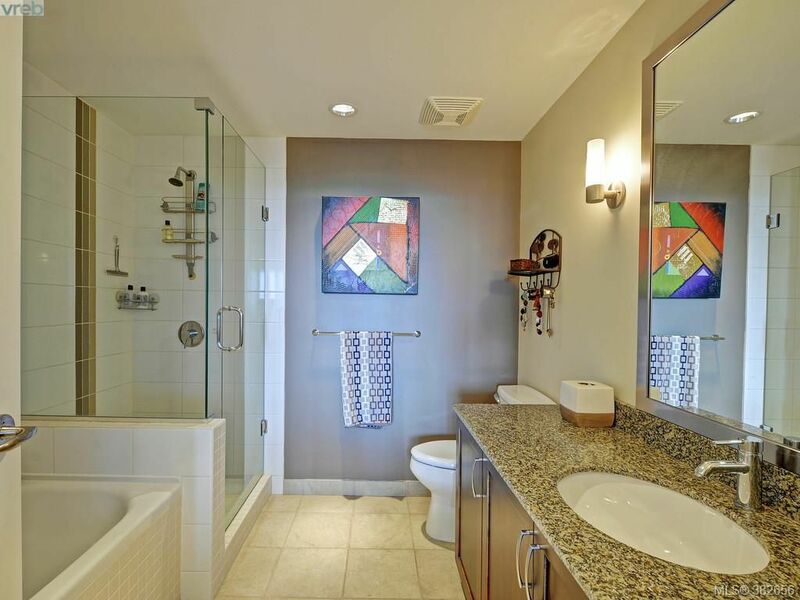 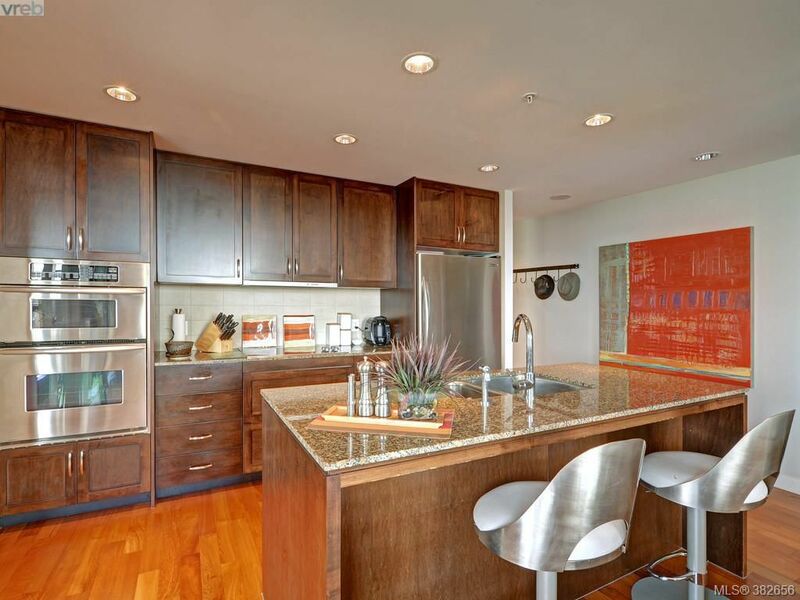 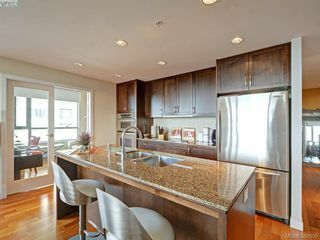 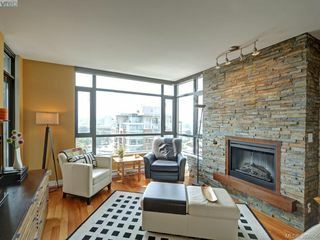 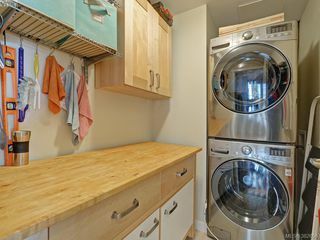 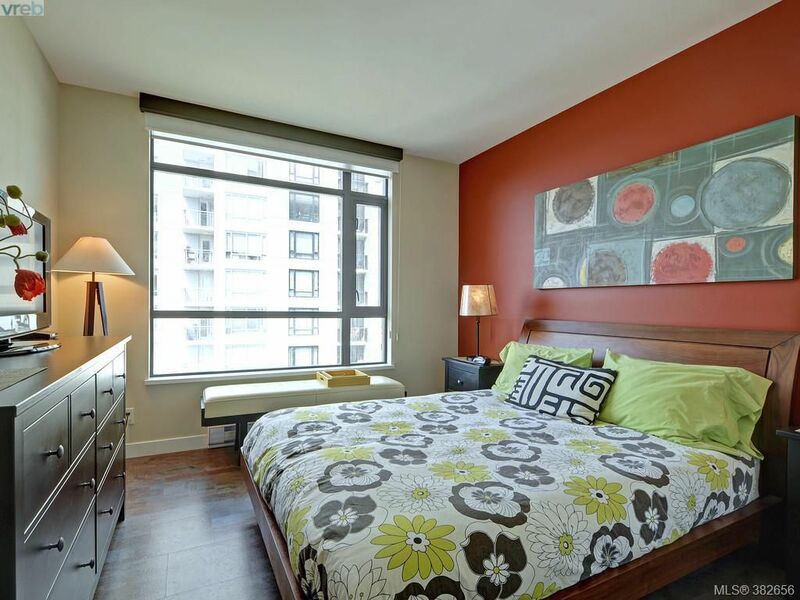 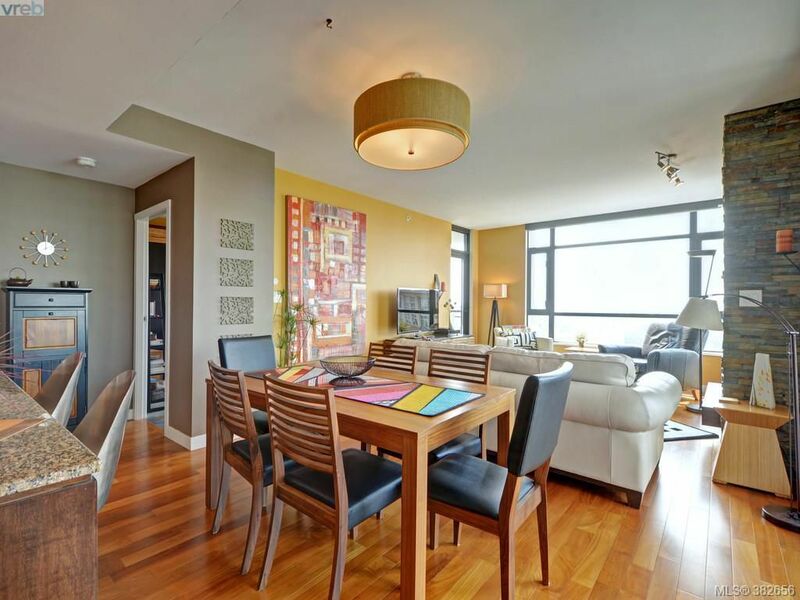 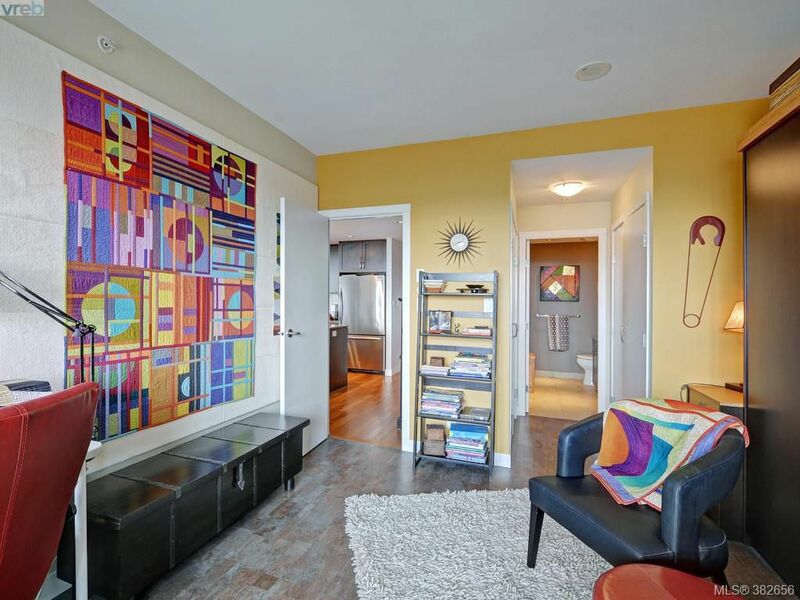 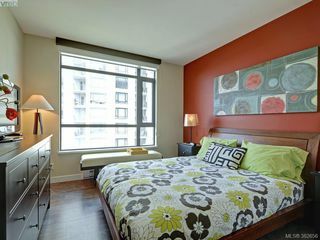 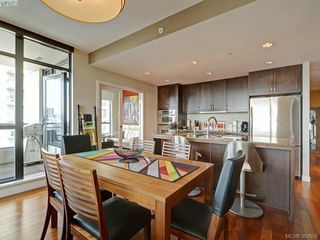 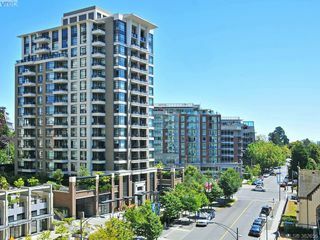 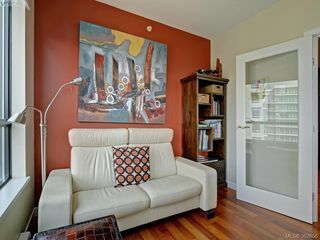 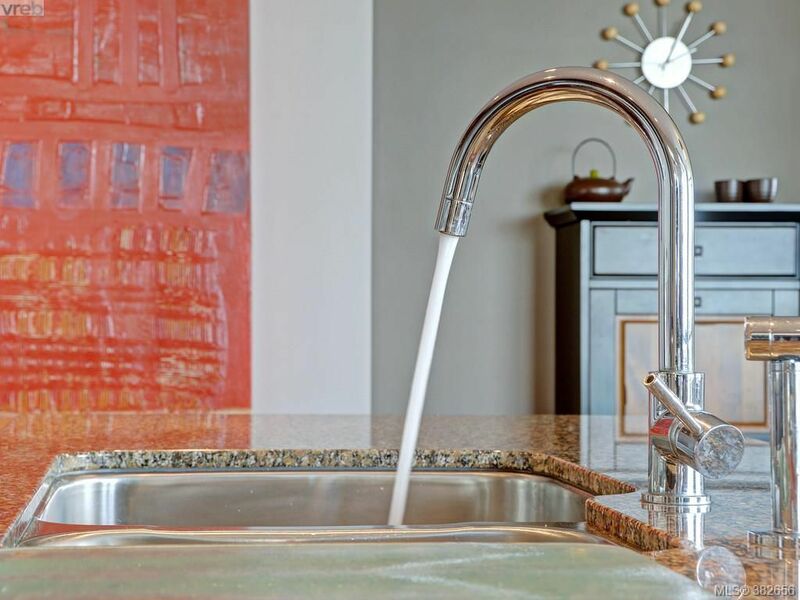 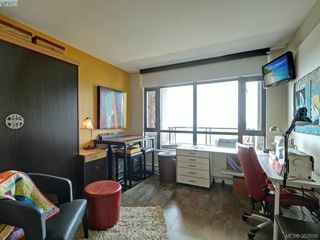 Build your community in this Sun-Filled 11th floor SW facing 2 bd, 2 bth + den corner unit. This Special Property is ideally located in the Desirable & Central Humboldt Valley Neighborhood that is just steps away from the Inner Harbour. 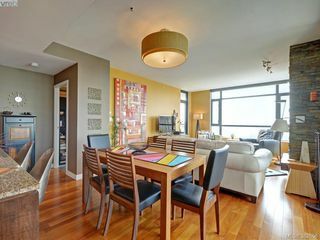 Features: Underground secure parking, Walk Score of 97, Corner Unit, Seamless Floor Plan that apportions the Bedrooms & Den equally, 1257 finished square feet, Open Concept Design, Superior Finishing, Big Island Kitchen, TWO generously sized view balconies, Large Windows and an abundance of Natural Light ,Motorized Hunter Douglas Blinds and Expansive Views (approx 260 degrees) of the, Ocean, Olympic Mountains and beyond. 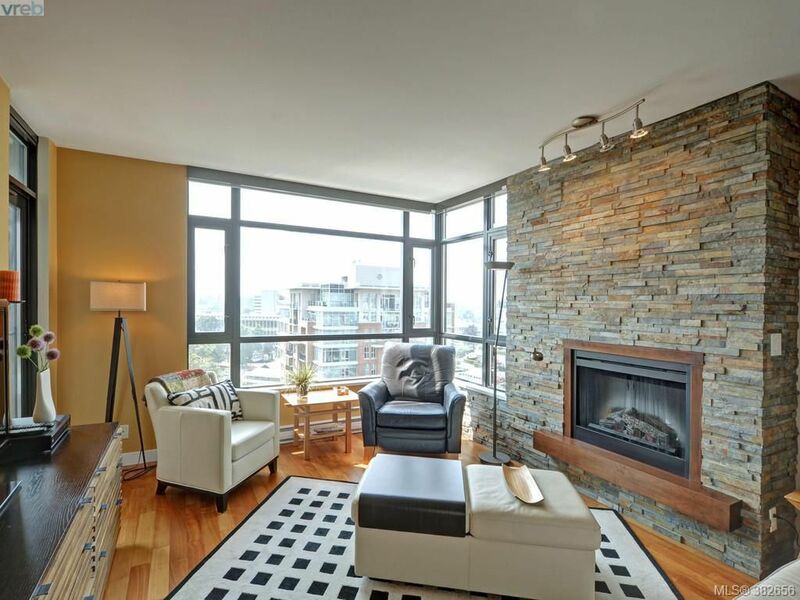 Truly a rare opportunity that is sure to impress the most prudent buyer.